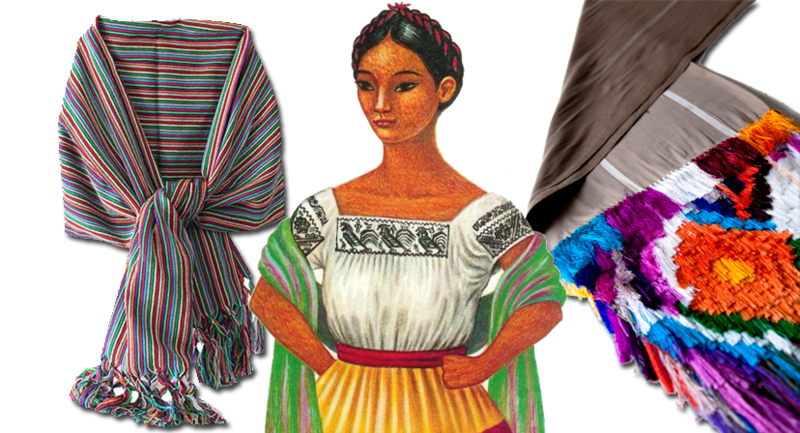 For much of Mexico’s history, the rebozo (a type of shaw or oversized scarf) was an indispensible woman’s garment used to protect a lass from the sun, provide warmth in the cold, carry babies in and, eventually, be buried with. 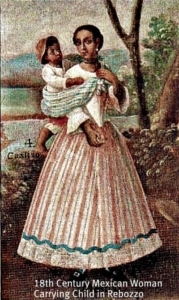 For years a rebozo was associated with indigenous women. Today most Mexican women, indigenous or not, wear them from pop stars like Lila Downs to the former President’s wife. Although associated with indigenous, the garment is not pre-Hispanic. Its origins are from the early colonial period. The name is Spanish, meaning “to cover,” indicating its original use as a modesty garment. By the 1800s, its popularity was such that all women, regardless of their ethnicity or social class, wore them, whether at work, home or church. 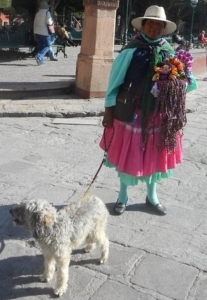 During the brief French occupancy of Mexico Empress Carlota favored rebozos increasing their popularity on the world’s cat walk. 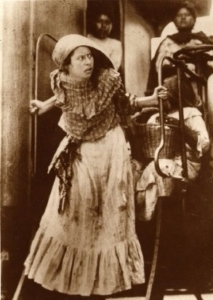 During the Mexican Revolution unnamed Adelitas, women who fought with, or otherwise supported Mexican rebel troops, wore a rebozo if only to disguise their firearm when going through government checkpoints. 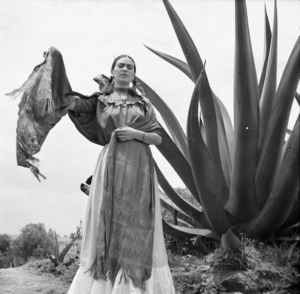 The rebozo became synonymous with Mexico’s struggle for independence and is an intricate costume accessory to folk dancing. Today, the rebozo is significant as unifying element among Mexican women in expressing national identity. 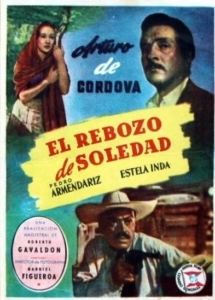 In essence, the rebozo is simply a rectangular piece of cloth. It may be of one color, with little or no design or have myriad of colors and designs, either woven and/or embroidered. The edges feature fringe to keep the knotting from unraveling. The knotting became an important decorative aspect now including designs with feathers and beads. The knot work can take far longer than the weaving of the rebozo body. In Santa María the use of various browns is a distinguishing characteristic of the region. Other common colors are black, blue, red, purple and green along occasional white threads which appear as flecks in the final product.